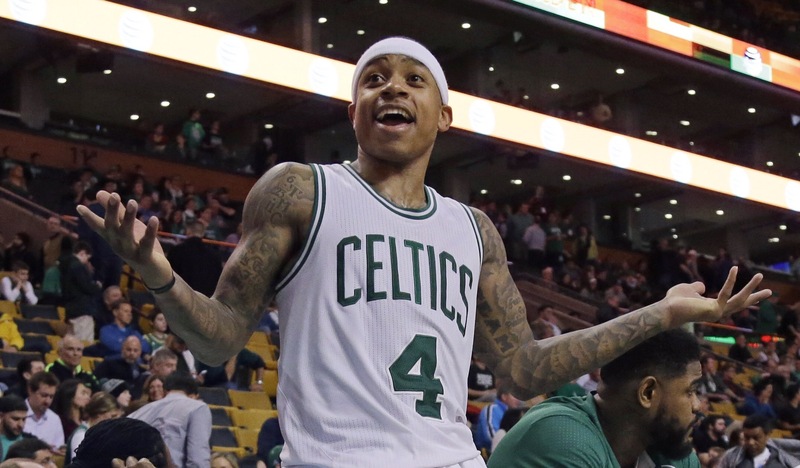 For the first time in his career, Isaiah Thomas may finally be getting the respect he deserves. The 5-foot-9 point guard is forcing the world to stop viewing his size as a weakness and to place him in the category of true NBA elites. This season, we witnessed Thomas break John Havlicek’ s record of consecutive 20-point performances in a season. We saw him lead the NBA in 4th quarter scoring for much of the regular season. Night after night he has proven his worth, leading the Boston Celtics to the number one seed in the eastern conference. But these are regular season accomplishments and the world doesn’t take notice until the postseason. In 2015, the Celtics were swept by the Cleveland Cavaliers in the first round of the playoffs. In 2016 the lost to the Atlanta Hawks in six games, also in the first round. Public opinion has concluded since then that Thomas is simply too small to be the best player on a championship team. It is now 2017 and Thomas’ historic season has Boston past the first round with a 2-0 lead in the eastern semifinals. Only eight teams are fighting for a championship and Boston is one of them. This is the stage Thomas needs to gain the respect he deserves. Thomas has averaged 42 points per game on that stage so far. His 53-point performance in Game 2 against the Washington Wizards is the second-highest point output by a Celtic in the playoffs. Unfortunately for Thomas, he is playing in an NBA era full of historic performances. We have seen Russell Westbrook average a triple double for an entire season. We witnessed the Warriors’ 73-9 season and Steph Curry becoming the first ever unanimous MVP selection. Even Lebron James occasionally does something impressive. If Isaiah is to get the respect he deserves he will have to continue playing like a superstar. At least now the world is watching him a bit more closely.